Red Hot Chili Peppers will reunite with Babymetal for shows in the U.S. this April. Babymetal opened for Red Hot Chili Peppers in the U.K. in December, and now they’re doing it again—in the U.S. See the 2017 tour dates here. Le trio japonais Babymetal fera la première partie des concerts des Red Hot Chili Peppers aux Etats-Unis. 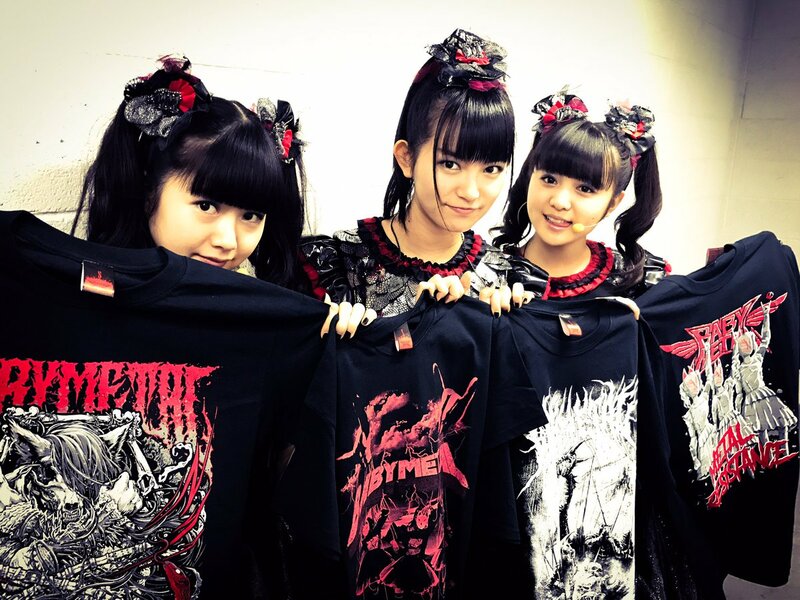 From winning accolades everywhere to performing with a number of legendary rock bands and artists such as Guns N’ Roses, Metallica, and Rob Zombie, it goes without saying that BABYMETAL have had quite a big 2016. Now it appears that the trio kicking off 2017 where they left off in 2016 – by playing with yet another world-famous rock band! Aggretsuko, the new character from the Hello Kitty company Sanrio, hates office life and unleashes death metal at karaoke in a video clip. Japanese pop-metal sensation Babymetal are one of the 6th Annual Loudwire Music Awards’ biggest winners. (Por Bruce William) Alguns fãs também postaram desenhos estilizando a banda com logotipo do Metallica. One band has become so synonymous with the heavy metal genre that despite the arguably dying rock scene in the country, was able to fill a stadium of metalheads with just their reputation alone. Metal? Niedlich? Scheint ein Gegensatz zu sein, geht aber – wie diese drei japanischen Superstars zeigen.